Jakir Hossain Institute of Pharmacy is organized by the Shibham Education and Social Welfare Trust, is offering Diploma course in Pharmaceutical Sciences with a intake capacity of 60 students and U.G., P.G. with Doctoral programs are coming in near future. The pharmacy profession, comprising the industrial and practice sectors, is undergoing a rapid change. Indian Pharmaceutical industry which has registered a spectacular progress today, ranks 4th in volume and 13th in value in the global pharmaceutical market with exports worth US Dollars 2.6 billion domestic sales amounting to over US Dollars 4 million in India. The duration of the Diploma in Pharmacy course is two years. Vision : To achieve excellence in technical education and groom students into confident and competent professionals imbibed with ethical values to successfully meet the challenges of highly competitive environment in global arena. Mission : To spread knowledge in the field of Pharmacy in dynamic synchronization with strong fundamental & conceptual knowledge with essential skills to meet current and future needs so that the students acquire global competency and apply the same in tandem with industry expectations and social aspirations and to inculcate right human values and professional ethics. We are proud to be establish Pharmacy College first time in the Murshidabad District, such a district with copulation of 7,102,430 where literacy rate is poor about 67.53%, below the national average of 74.04% (in India) and State average 77.08% (West Bengal), as per provisional figures for the 2011 Census. As a President of Shibham Education and Social Welfare Trust it is our effort since 2006 to provide the quality education for confident and competent professionals imbibed with ethical values to successfully meet the challenges of highly competitive environment in global arena. At JHIOP, we believe that we are in a unique position to make a positive contribution to promote and achieve the modern day ideas and concepts. Our mission is not only to help our students refine their intellects, but also to touch their hearts and souls. We encourage them to examine their values and develop an ethical framework that will guide them throughout their lives. This will continue to be a defining characteristic of the Information Revolution, and the Information Age that it engenders, is being defined as an ongoing process of economic, social and political globalization. This globalization requires the existence and development of advanced information, knowledge and training. Educational needs, in terms of structure, function, curriculum and approach at all levels, especially at tertiary level, have changed. These educational requirements for the workforce of the future are extremely important. One of the great pleasures of being Director of JHIOP is experiencing the energy and vitality that flows from our classrooms, laboratories, halls, and infuses the entire campus. With utmost sincerity, I humbly request you to continue to inspire us to strive hard to achieve our dreams for a brighter tomorrow. Mr. Tuhin Sarkar (Associate Professor) Associate Professor Mr. Tuhin Sarkar has a commendable record of accomplishment in academic institutions. 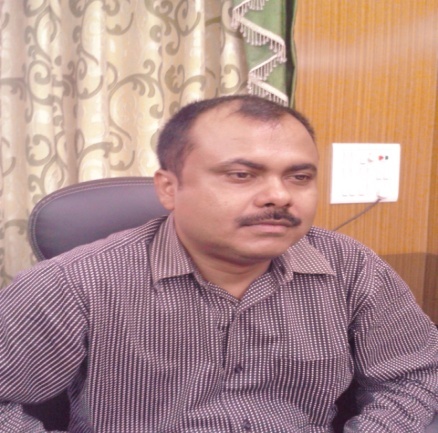 He is a graduate and postgraduate in Pharmacy from West Bengal University of Technology, Kolkata. He has been actively engaged in teaching, research & service to his profession since 2006. He has 7 years exposure in various pharmaceutical executive. He believes in the dictum- “Nurturing a Global vision should be the Motto of an educationist”. He always maintains a cordial relationship between the teacher & the taught. 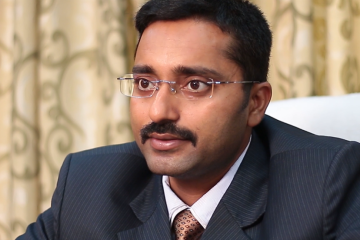 He gives an enormous weightage to both theoretical & practical aspects of teaching. PRINCIPAL’S MESSAGE It gives me immense pleasure to introduce Jakir Hossain Institute of Pharmacy (JHIOP), Miapur, Murshidabad, W.B. and to welcome one and all to this beautiful campus. It is going to establish an excellent institute of Pharmacy for its outstanding efforts to provide quality education to the students so that they are able to benefit the society and the country at large. Diploma education in Pharmacy at JHIOP, Miapur will provide by dynamic, enthusiastic, caring and approachable faculty who are committed to ensure that students are fully prepared for many diversified roles that a pharmacist required to undertake in their career. The spacious classrooms, well equipped laboratories, library, separate hostels are the best in the region and are developed as per the norms of AICTE, PCI & WBSCTESDVT. This will certainly revolutionize the pharmacy education system to meet the growing demand of profession by ensuring competent workforce. I am confident that our commitment, dedication and motivation provide the best environment to nurture and grow the academic interests and ensure bright future for the student. I once again welcome you to join us and become a proud member of our JHIOP family.